There are a couple complaints I hear all the time about Smith Westerns. The first is that they’re a one-note band who keep recycling the same song over and over like Marge Simpson’s Chanel dress. The other is that they are quite boring. While I understand the first complaint (though I don’t agree with it), the second one just makes me think people aren’t listening close enough. 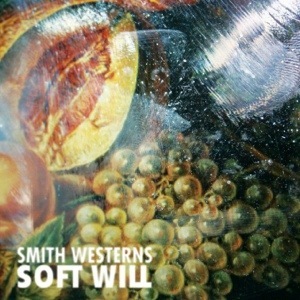 Smith Westerns second album, Dye It Blonde, came in at number 5 on my 2011 list of best albums. Their follow-up, Soft Will, probably won’t be too far down this years list. A few months ago they released the first single off Soft Will, “Varsity.” It sounds like it could be a Camera Obscura or Belle & Sebastian song, with a lush orchestration at the beginning. This song comes at the close of the album, and it creates a nice bookend with “3am Spiritual.” “Varsity” is a more upbeat tune that provides a sunny outlook after getting through the darkness throughout the album. My favorite surprise on the album is the instrumental track “XXIII.” It’s so similar to “The Great Gig In The Sky” that I half expected Clare Torry to start wailing with that amazing voice after a couple minutes. Really, just a gorgeous song that I hope they’ll make more of in the future. The biggest thing I’m taking away from Soft Will is that Smith Westerns don’t care about the criticism they’ve received. They’ll continue to make the music they want to make no matter what. Sonically they haven’t changed much-Cullen Omori’s vocals are still just a breath above the music more often than not, Max Kakacek’s guitar riffs are still cleaner than a virgins honeypot, and they continue to build songs around the band as opposed to Cullen and his lackeys, or Max featuring the Omori’s. The group and producer Chris Coady found a great formula on Dye It Blonde, and they’ve perfected the chemistry with Soft Will. It’s nearly 40 minutes of glossy pop with wistful vocals and polished guitar work. There’s nothing overly adventurous on the album. When you’re the best at what you do, there’s no need to go outside your wheelhouse. Soft Will comes out June 25th. You can catch the band on tour this summer-starting in late July they’ll be crossing the country with Wampire before returning to Chicago for Lollapalooza, including an after show at Lincoln Hall on July 31st. If you’re in Chicago on release day you can catch a free in-store performance at Reckless Records.